Turning 40 can be terrifying for just about anyone, especially when you’re totally on your own. Glynnis MacNicol shares her story in No One Tells You This: A Memoir. 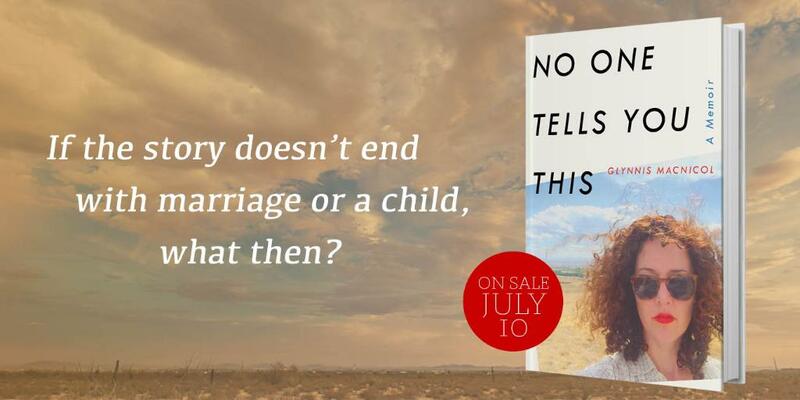 No One Tells You This: A Memoir is the read deal. The moment I read the premise, I knew I needed to add Glynnis MacNicol’s memoir to my reading list. By 40, women are expected to be married or at least divorced. If not, the reasons are typically because of a belief system, not because they don’t have a partner. And even if you don’t have a partner, you have a kid. It might be okay to lack a partner or a kid by 40, but lacking both… well, that’s inexcusable! So what happens when you become one of those inexcusable women? Coming July 10th! Make sure to purchase your copy today: amazon.com.